Remember, Remember the 15th of November. Wait.. that's not how it goes! But that is the day that Fireworks will come to UK cinema screens. 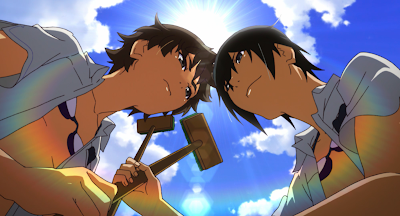 Anime Limited hope to continue their highly successful run of releasing anime features on the big screen, with yet another title- and it looks highly likely they will have another hit on their hands. 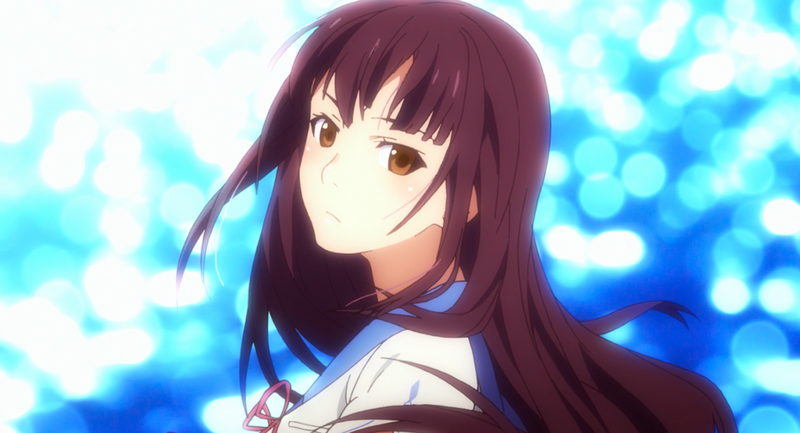 Fireworks comes from studio SHAFT, and is adapted from a 1993 live-action TV movie of the same name. It's a coming-of-age film following a group of teenage friends over the course of their summer holiday. It seemed to strike a chord in Japan where it won plaudits for its beautiful visuals and acclaimed soundtrack. Two friends, Normichi (Masaki Suda) and Yūsuke (Mamoru Miyano) are confounded by a pair of mysteries. The first, whether fireworks are flat or round when they explode and the second, their growing feelings towards female friend Nazuna (Suzu Hirose). Unbeknownst to the others, Nazuna’s parents are amidst a divorce that threatens to take her away after summer break, but when the boys compete in a swimming race, she hatches a plan - to run away and elope with the winner! In this story of summer, the season of youthful discovery, can these three find the answers both their heads and hearts seek? 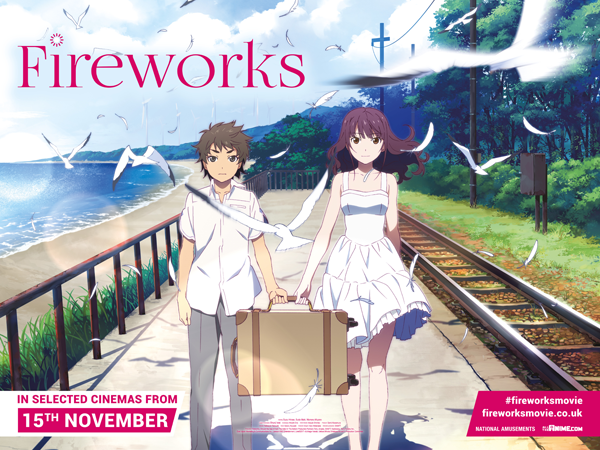 Fireworks is directed by Akiyuki Shinbo (Nisekoi) and Nobuyuki Takeuchi, and written by Hitoshi Ōne. Music comes courtesy of Satoru Kosaki (The Disappearance of Haruhi Suzumiya). To find a screening near you and get your tickets visit the film's website today. There's no UK trailer as yet, but you can see the film in motion in this trailer for the Australian release from Madman.